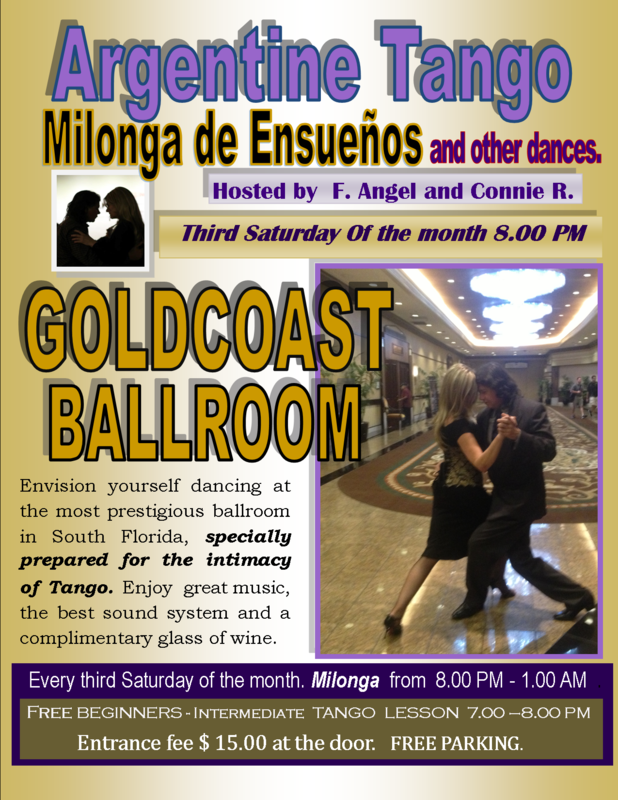 Goldcoast Ballroom & Event Center | EXCITING: SPECIAL MILONGA DE ENSUEÑOS PARTY - Saturday June 21 - 8:00 PM - 1:00 AM - and Every Third Saturday Night of the Month!! 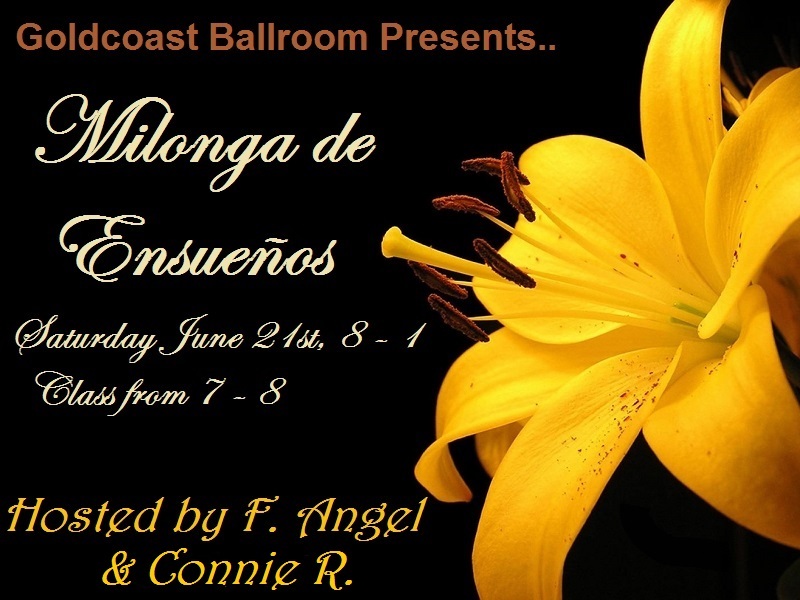 EXCITING: SPECIAL MILONGA DE ENSUEÑOS PARTY - Saturday June 21 - 8:00 PM - 1:00 AM - and Every Third Saturday Night of the Month!! $15.00 for the entire evening! Evening admission includes a complimentary glass of wine, as well as a light snack and hot beverage (served until 10:00 PM). And, our bar is open; purchase your choice of wine, beer, champagne, soda/ soft drinks, and more! 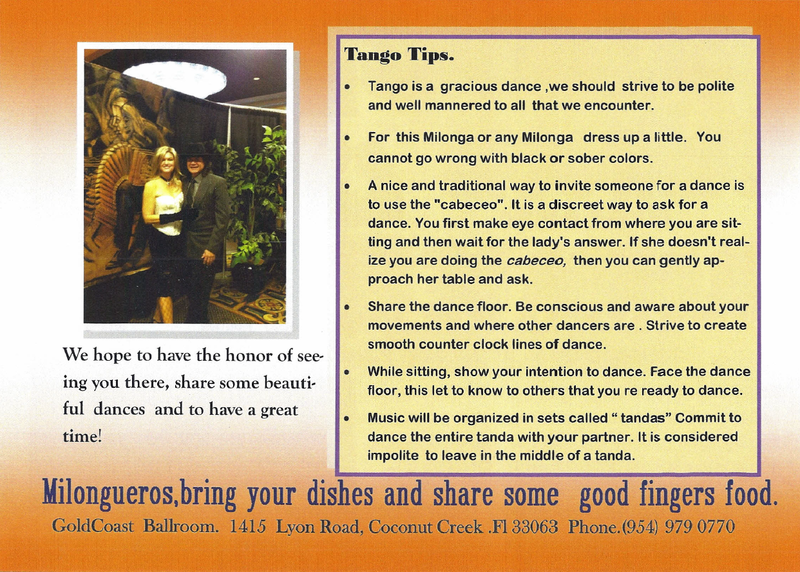 Join us for our EXCITING NEW Milonga de Ensueños Party – Every Third Saturday of the Month at Goldcoast Ballroom! 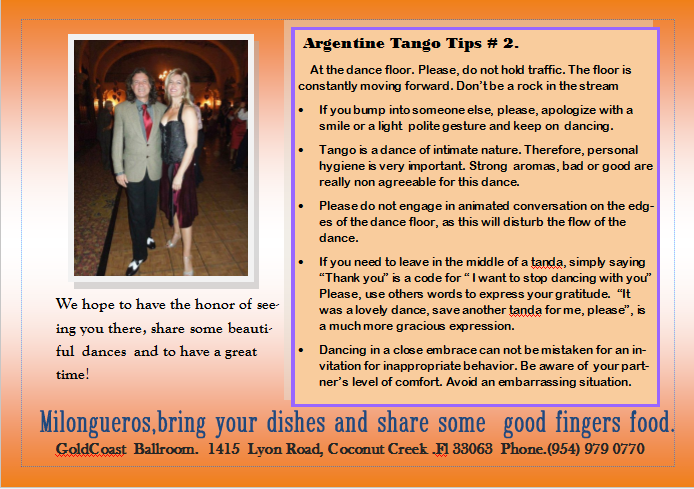 Check back here for more information on Argentine Tango by F. Angel — coming soon! 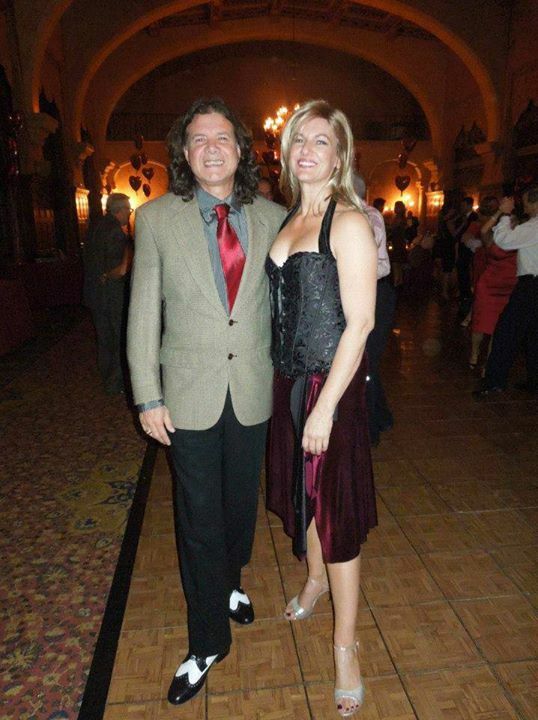 « Goldcoast Ballroom Proudly Presents Another Ultimate Hustle Party with Diane K. Nardone – Saturday, June 28!